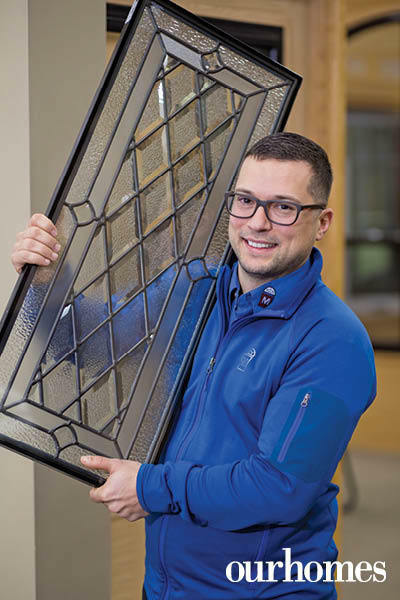 Winter 2019 // Meet window and door experts with the answers. 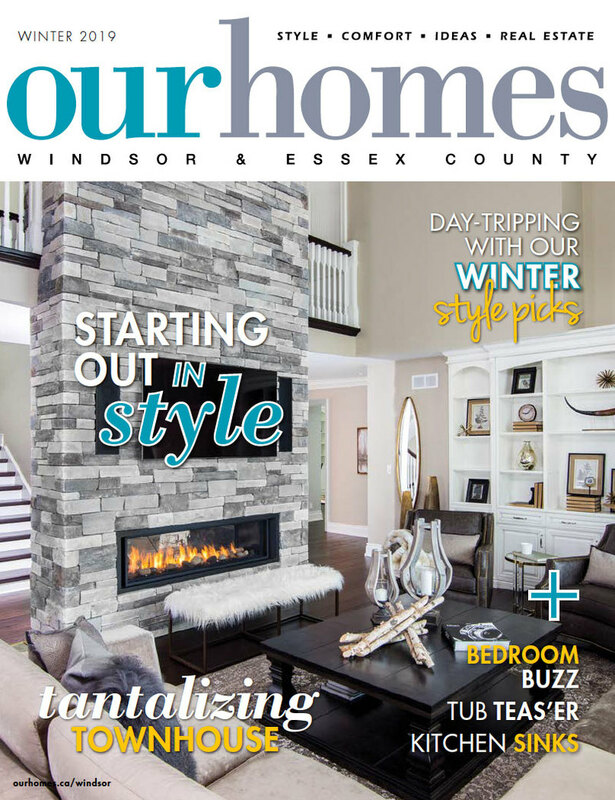 A version of this article originally appeared in the Winter 2019 issue of OUR HOMES Windsor & Essex County, p.52. Find local businesses in our Windsor directory. Windows and doors make a huge difference to both the appearance and use of energy in a home. These local experts have some great advice for how to make your home stylish and efficient this winter. 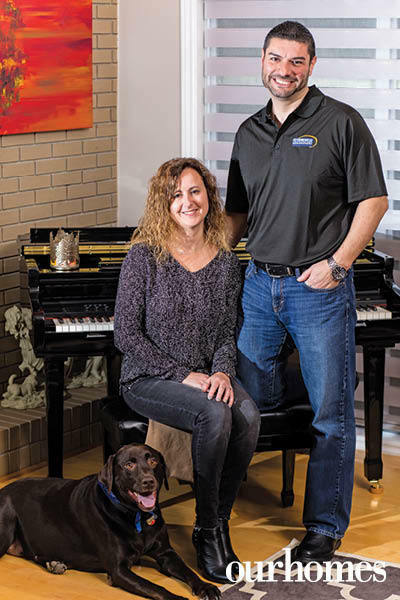 Martindale Windows & Doors Inc.
Why choose Martindale Windows & Doors? 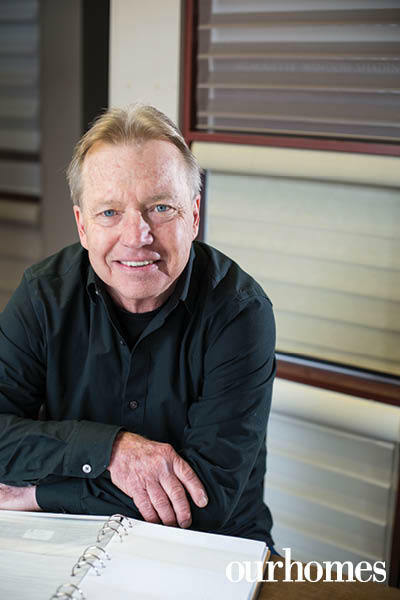 We’re a locally owned company that has been around for 75 years. We have great passion for what we do and we have an awesome showroom. How can new windows save money? New windows will lower your heating and cooling costs, as new windows are much more efficient, especially in the summer. Our specialty low-E coatings reflect the sun and keep the heat out while keeping you cool and comfortable. What do you do to get through the winter? We work on new product designs and ways to increase our manufacturing capacity. What’s your favourite season? I love both winter and summer. Winter brings about the holidays and in the summer I enjoy the warm climate with great friends. How can the right blinds save money? Proper window furnishings can not only spruce up your space, but help insulate windows and keep your home warm. As much as 40 per cent of heat is lost through windows and while thick draperies may be one option for preventing that from happening, blinds are another great way to keep you cool in summer and warm in winter. Professionally installed, blinds can trap a layer of air between fabric and glass helping to seal your windows. Open them in the day to let the sun’s warmth fill the room and lower them at night to keep heat in. What’s new at Made to Shade? Vision Blinds are an innovative new product that features two layers of translucent and opaque horizontal striped fabric. The front layer moves independently of the back, allowing the stripes to glide between each other, creating an open and closed effect with unlimited light control. Why do you love what you do? The people! I have met so many interesting and wonderful people over the last 34 years. I also love it when I know the customer is satisfied. Helping people choose the right products for their individual needs gives me a great deal of job satisfaction. What products are popular right now? The most popular product trending currently would be the Zebra Shade. This shade offers various options for sun control from closed to partially open to fully open. Room darkening solar screens are still very popular as they allow you to see outside while keeping the heat out and the sun’s damaging rays from fading furniture and flooring. What’s trending in window coverings for 2019? No question about it: motorization. Prices have dropped in recent years making it a more affordable choice. By eliminating cords, child safety is greatly increased. Also blinds can be operated from smart phones and programmed to open or close automatically depending on the amount of sun or heat. Plus they are especially suited to hard-to-reach windows.